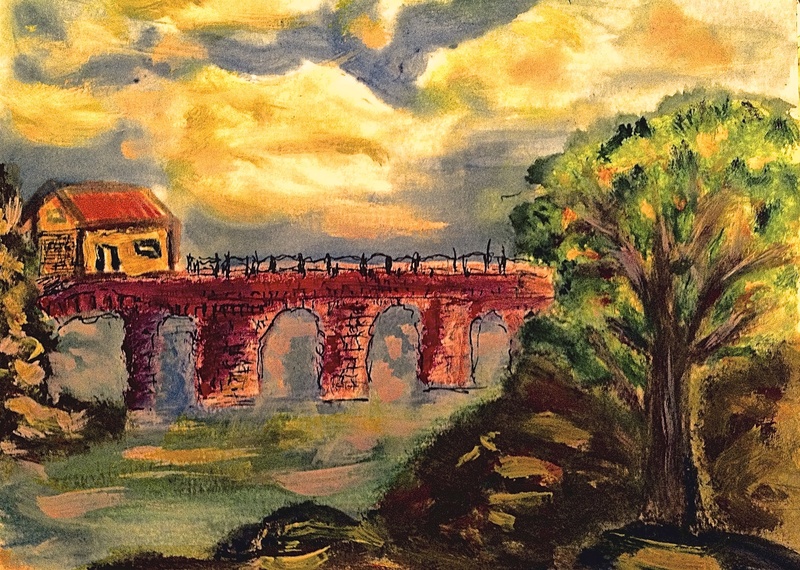 When the holidays are upon us, the bridge home seems to be a more rickety bridge than usual. Family life can encompass the best of days and the worst of days. Remembering that what we fear in life is losing control of our selves, family can induce a loss of self and soul that has us wanting to scurry for the first rabbit hole that we find. It can also hold us in its embrace when the sorrow is too much to handle, and we are overwhelmed with grief. 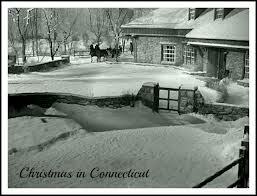 Home for the holidays with Barbara Stanwyck living in a perfect New England home, snow bound with a horse drawn sleigh at the front door to bring you into town for the last minute pound of butter or canned milk, was too pretty. It creates in us a longing for something that does not really exist. It always made me ask as a kid, “where do they go to the bathroom?” You never saw in those idyllic movies where and of the “crap” happened. Life in 21st century America is a dollar driven life with things and events symbolizing an upward mobility and a sense of abundance that is not on the horizon for most Americans any more. We have what we have, and we have to find a way to be content with that because the upward mobility american-dream-thing is a rapidly vanishing fantasy that is as equally unpalatable as Barbara’s dream in a 1950 Christmas in Connecticut movie. Even our beloved states of longing seem to vanish with the advent of capitalism replacing democracy as not only the economic system of the american people, but as the form of government and the types of lives that are permitted under this new umbrella of global aristocracy. We have become income driven–not values driven. As Americans we inherited a transcendental philosophy that was born out of the writings of Emerson, Alcott, and the 19th century Concord Literary Society that became know as the 1st revolutionaries in American Literature. That period of American History became engrained in us, representing a value that was greater that what money could buy. The early Transcendentalist saw the natural elements of life as the template to a free and loving society. It used the natural to remind us of life and death. It used humanity as the test center that attempted to illustrate that a society, a neighborhood was greater than the sum of its parts. Communities and families died and suffered and lived and enjoyed life together. The small town, dirt-road, trails always led to somewhere you wanted to be. After all it was the the trotted road the got the wear. Families are pretty much all that is left of this inter-dependent way of life; and families are hanging on by a thread as the holy dollar calls the older brother to Cleveland, and the younger sister to Huston and the parents had to retire to Florida as the Massachusetts economy became too expensive to purchase on a fixed-income. So middle sister, who was fortunate enough to find a husband and a job in the home town, is now the only member of the family left in the home town. Is it still home town when everyone you know has moved on or moved away? Thanksgiving is my favorite holiday. It is only food and companionship and love that make it happen. It is not a commercial holiday. Except for food, the stores have to be clamoring for your Christmas dollar there is no Thanksgiving gift. And I am grateful for that fact. Department stores and Big Box stores could starve to death on Thanksgiving and I would have one more things to be grateful for. I want to make a wish today. I want to wish that everyone who reads this essay will find a way to promote this message to everyone they know and meet. I want this holiday to stay free of commercial broadcasting and that there will never be such a thing a thanksgiving music.. I want everyone to be as persistent as they can be to call families together for this once a year gratitude day. I want the bridge home for Thanksgiving to be free and easy and spontaneous and not filled with expectations. I want every one who wants to be home for the holiday to be able to get there. I wish that this message get read by people who are just on the verge of wanting to get home to be spurred homeward by the sincerity and forgiveness that this holiday promotes. This entry was posted in art, gratitude, justice, prayer, self, soul, therapy and tagged economy, food holiday, Gratitude, heart-felt, instincts, self, soul, Thanksgiving. That was a very thought provoking post, thank you. I thought I had some things figured out, but the post stimulated my mind into thinking deeply about what I am striving for and the priority my family has in all of this. As a second year law student, I am entering a profession that is a bit high on itself, and I really have to ask myself what do I want out of this career, money slave or truly enjoy the work, and leave when my soul tells me it is time, that might be when I am old and gray or it could be sooner. I wish we still have the community life, the way everyone knew everyone else in the block, now I do not even know the person across the hall, it is so sad, and I think the consumerist aristocracy as you call it, is one piece of the problem. We can just try and meditate on these issues, better ourselves, emanate loving kindness to everyone, including strangers. The collective conscious and unconscious is ever evolving and I think with your writing and other mindful individuals we can somehow stitch are way together again, even if it only within our individual perceptions of reality because I am not sure if we can change the world, nor am I sure that is the correct goal. Ii like your comment….i agree it is not about changing the world; if anything, it is about a shift in our own paradigm. perception is a tricky dog. at first we think we are sure about what we are seeing, but in time almost all is questioned when the cathexis of the emotions have fallen away from the event. if we are aware that we come to everything with a bit of ourselves, we are less prone to be disappointed with the world, as we know well our place in it by knowing what we like.